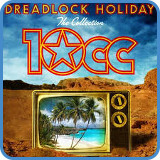 ‘Dreadlock Holiday’ is single from 70s Prog/Rock/Poppers 10cc. This is very similar to how I arranged ‘I Shot The Sheriff‘ for just one acoustic guitar. In these video lessons, you’ll see how to play all the chords for ‘Dreadlock Holiday’, including the key change using a capo on fret 3 and later, on fret 4. Using the chords above, adjust the capo up or down the neck to find what key suits your singer. Dealing with key changes a semitone up in the middle of a song is always going to be awkward for a guitarist. The Glider Capo might be the only real practical solution to this problem. Without a capo, the chords are from the key of Gm. If you choose to play it like this, you will need to barre almost every chord. Capo or no capo, if you understand a chord progression as roman numerals, you can create licks and build your own guitar parts using the suitable scale and chord shapes. To learn more about how to do this, turn to the intermediate guitar course. For complete lyrics, go to Dreadlock Holiday lyrics. 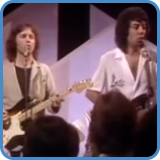 With influences such as the late Beatles and Frank Zappa, 10cc was not your average, middle of the road band. Similarly to Supertramp, 10cc was almost prog/rock/pop with long instrumental sections and lots of different styles mixed. Major hits include ‘Dreadlock Holiday’ and’ I’m Not In Love’. To find out more, go to 10cc biography.